If you track the success of your e-commerce business solely by the number of sales that come in, it's safe to say that you aren't maximizing your revenue potential. Every day, your analytics platform provides you with a wealth of information that you could be using to bring in additional traffic, keep people on your website longer and reduce shopping cart abandonment. To improve your sales numbers, you need a deeper understanding of the online sales process -- and that requires tracking your business's Key Performance Indicators. Do you really know whether your online business is improving or declining? 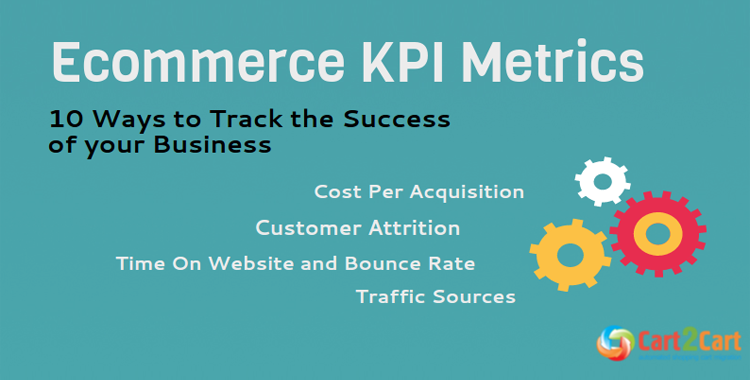 In this article, we'll describe the 10 most important KPIs for ecommerce that you can use to track the success of your retail business. Problem: If your e-commerce website converts well but you struggle to maintain profitability, your customers may primarily purchase inexpensive items. Are you really doing everything possible to earn the maximum amount from each paying customer? The average order value is a metric that tracks the amount a typical customer spends when ordering. It's also one of the easiest ecommerce performance metrics to improve. Solution: Many of the items sold online work best with certain related products and accessories. For example, a person who buys a digital camera could probably have a better experience if he or she also buys a memory card, spare battery and carrying case. Install a website plugin to suggest related products to customers during the checkout process, and you'll most likely see a massive improvement in your website's average order value. Problem: Shopping cart abandonment takes place when a customer adds items to his or her shopping cart and leaves the website without completing the purchase. A person who begins the checkout process has clearly indicated interest, but something has prevented him or her from buying. Solution: Install a website plugin that displays a pop-up message when the user moves the mouse pointer to the top of the browser window or attempts to navigate to a different website. Configure the plugin to offer the customer a coupon code for immediate use or ask if the user would like to chat with a sales representative. Problem: Mentioned above ecommerce KPI helps to keep count of client loss. Some people buy products from a website once and never return. Sometimes, even regular customers can abandon a company suddenly when they find another seller or product that catches their fancy. Solution: You should already be collecting the customer's email address every time your website makes a sale. Create a list of the customers who haven't purchased from your website in more than a year, and reach out to them. Offer them a discount for coming back, or highlight some of the new products that you've released since the last time they purchased something. Problem: Does your business have many repeat customers and few new ones? Regular customers are excellent for the stability of your business, but they do little to help your business grow. To stimulate growth and truly increase your company's bottom line, you need to acquire new customers. Solution: If your in-house advertising program doesn't attract enough new customers to make up for the lapsed ones, you need some brand ambassadors to do the work for you. Launch an affiliate program and give bloggers, YouTubers and website owners a share of the revenue for referring customers to your website. Problem: Some people visit your website and leave quickly or only view a single page before leaving. Solution: If people leave quickly after visiting your website, you need to do a better job of telling them immediately that you have exactly what they're looking for. Improving your website's design can have a profound effect on the amount of time people spend during a visit. Does your website feature attractive product photos? Is your navigation system easy to understand? Do you use clear typography? Problem: Some people visit your website and browse, but they end up leaving without buying anything. Solution: Are you having trouble converting visitors into buyers because you can't price items as low as you'd like? Suppliers often use Minimum Advertised Pricing (MAP) policies to prevent sellers from undercutting one another and dragging down the perceived value of products. You can reduce the actual prices that customers pay in other ways, though, without violating a vendor's MAP policy. Consider offering free shipping or "buy one, get one" deals to stimulate conversions. Problem: Your website's sales are unpredictable and vary widely from one day to the next. You're never certain whether sales are improving or slowing. Solution: This a vital ecommerce metrics to track because it lets you understand which of your website's traffic sources are most likely to result in sales? Study the typical path that a user takes through your website depending on whether he or she arrives through organic search, advertising or social media. If most of your sales come from visitors who arrive through organic search, your typical sales numbers may vary because search engines change their algorithms frequently. An advertising campaign can bring in steady traffic that converts -- but the campaign has to be effective. Try variations on your current ad campaigns and split test your on landing pages to increase conversions. Problem: Your business advertises through every channel possible. You're bringing in consistent traffic through Google AdWords, Facebook and retargeting campaigns -- but you're not profitable. Solution: If your advertising program brings in customers but isn't profitable, you're spending too much to acquire customers. 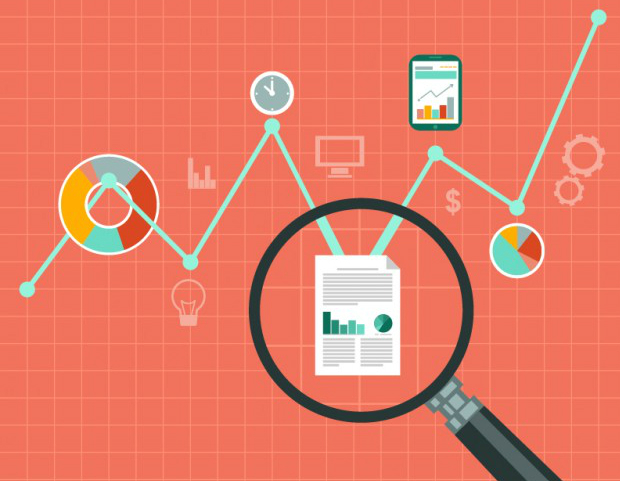 First, examine the conversion rate of your ad campaigns. Do you attract many clicks -- but few sales? Improve the quality of your landing pages or conduct research to find less expensive keywords on which to bid. Problem: You check Google Analytics each day to see how many visitors your website has received, but the number never seems to grow. Solution: Although website traffic isn't the only KPI for an e-commerce website, it is probably the most important. After all, you can't make sales if your website doesn't receive visitors. The best way to attract website traffic is to create great content. If your website doesn't have a blog section, start one. If you don't feel comfortable writing content on your own, hire a freelance writer to help. A website with plenty of text content has a better chance of attracting organic search traffic, and a website with plenty of search traffic makes more sales. Problem: When you check your traffic sources, you always see the same websites. You never see any unfamiliar sources because your website isn't attracting new links. Solution: The quality and quantity of a website's inbound links greatly influence the amount of traffic it receives through Google's search results -- so it is to your benefit to acquire as many new links as possible. Writing great content can help to encourage inbound linking, but you may need to do some outreach as well. Tell bloggers and website owners about your great content and products! An east coast transplant, Trevor now resides in beautiful San Diego and works as a content writing specialist. He is passionate about content creation, and enjoys assisting small businesses as well as larger corporations with blog cultivation, SEO, and content marketing strategy. When he is not writing, Trevor enjoys hiking and mountain biking.